Win a Spirit Riding Free bundle worth over £40! Yee-haw! Fans of DreamWorks’ Spirit Riding Free series on Netflix and POP can now bring the adventures home with our fantastic Spirit Riding Free competition. We are giving three lucky readers the chance to win Spirit Riding Free toys from Flair/Just Play. Whether your little one enjoys playing alone or with others, the Spirit Riding Free range is perfect for imaginative frontier adventures. With the Spirit Riding Free Doll and Horse set, little ones can relive the equestrian adventures of Lucky, Spirit and all their friends. The doll stands at 13cm and is accompanied by her wild horse companion. She features posable arms and legs that allow her to be moved into fun action poses! 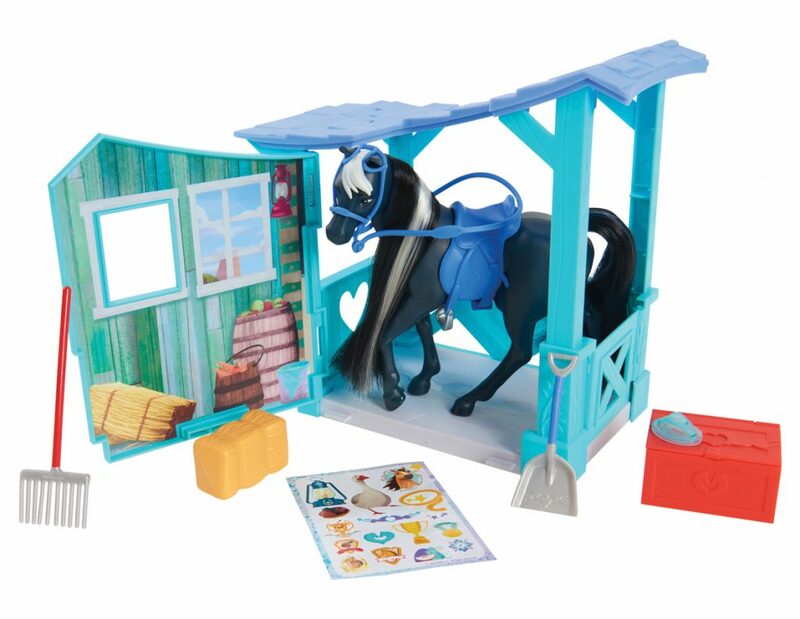 This cute little set features a 7″ horse inspired by the show, stable, hay, shovel, rake, saddle, bridle, brush, tack box, and sticker sheet. The stable side wall opens to create a large play area. The horse comes with beautiful, rooted hair that is perfect for brushing and styling. Kids can take care of their horse by grooming him with the brush and keeping his stall clean with the all the tack. When they are done nurturing and caring for their horse friend, they can place him inside the stable, close it and use the handle to take the stable on the go! For your chance to win, simply fill in the form below and answer the question before the closing date of Monday 22nd April. Good luck! 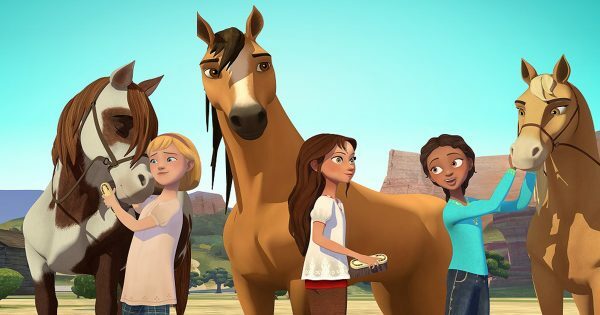 If you like this competition, then don’t forget to head over to Spirit Riding Free for your chance to win a Riding Day experience with a YouTube star!